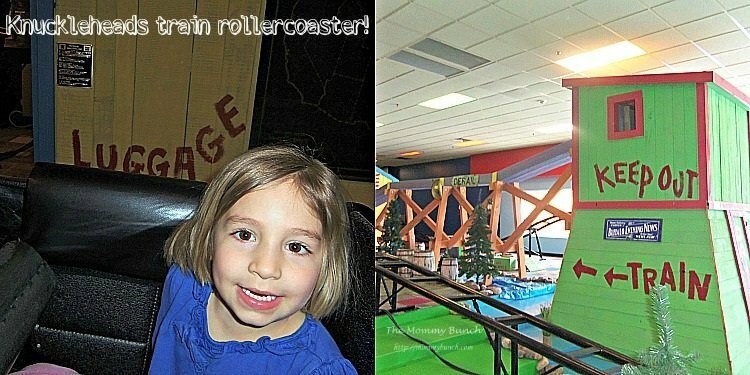 Last week I told you all about our time at Great Wolf Lodge, where we celebrated my son’s 6th birthday, but I haven’t told you about one of our favorite excursions on our birthday trip. On our second day at Great Wolf, we took a little break from all the water park fun, and headed over to Knuckleheads. Knuckleheads is a bowling and indoor amusement park located in The Waterpark Capital of the World…Wisconsin Dells, WI. 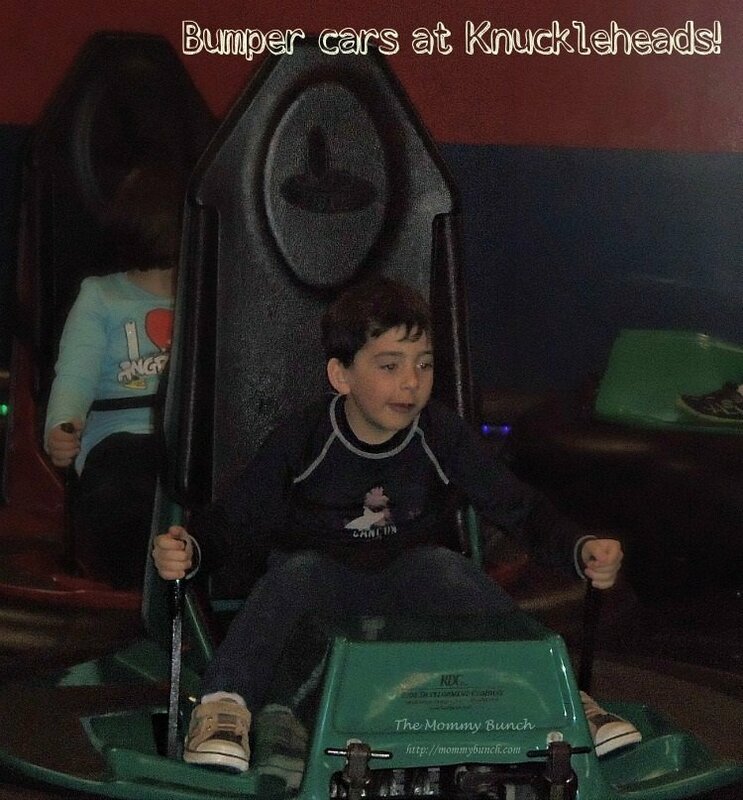 Knuckleheads boasts 80,000 square feet on indoor fun, including a 4-D Theater ride, bowling alley, indoor ropes course, roller coaster, inflatables, and more! From indoor amusement rides and 4D theatre to our arcade with redemption booth and Ball-O-City dry-play area, there’s something for everyone at Knucklehead’s. 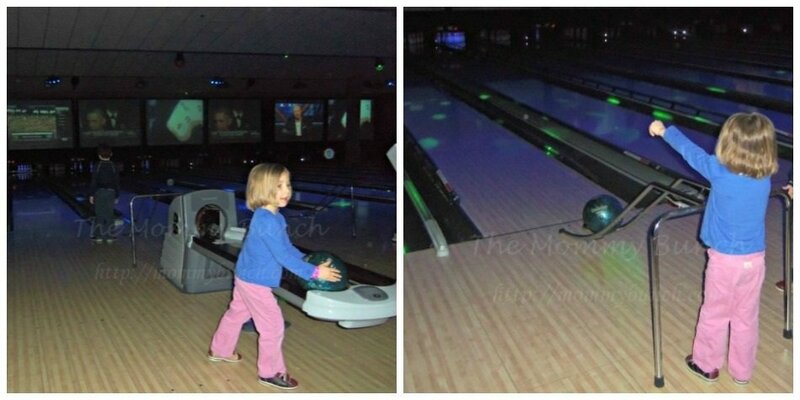 Plus, we offer the largest bowling facility in the Wisconsin Dells area! 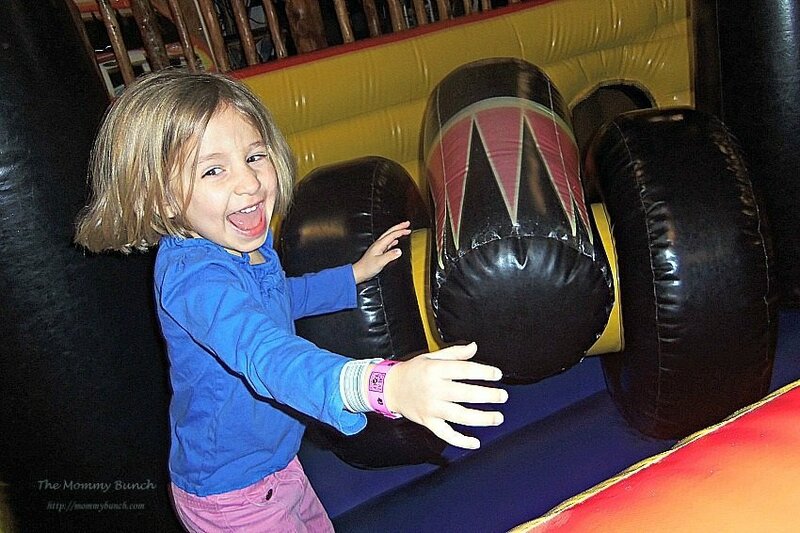 Whether it’s just a day of fun for your family or a special event or party, Knucklehead’s is your destination for fun! For an up-close and personal look at all that Knucklehead’s has to offer, please watch our video below or feel free to browse through our site to find exactly what you’re looking for! 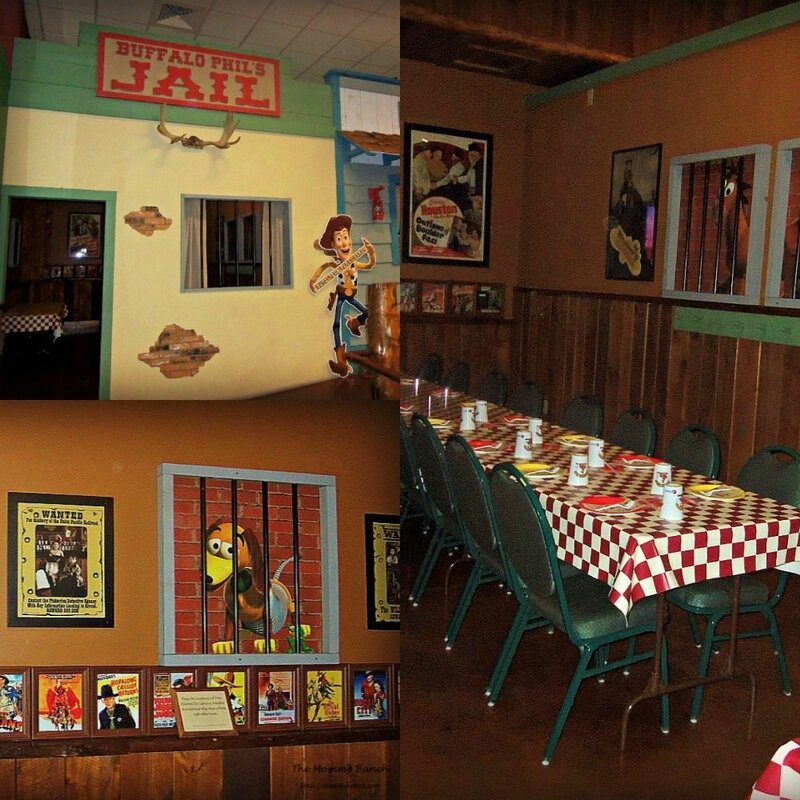 Knuckleheads has some amazing birthday party packages where you can have a themed party cabin set up for your private celebration. I took a peek at some of the rooms and I think any kid would be excited to have a party here! Since it was my son’s 6th birthday, he got to take advantage of this special offer, but Knuckleheads was nice enough to let our family check out the facility by providing my husband, daughter, and myself with free passes as well. We had an amazing time checking out just what Knuckleheads was all about! 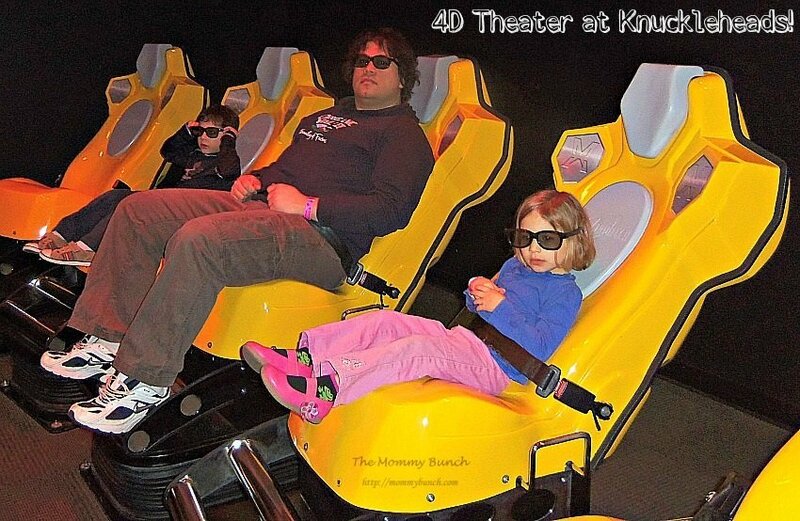 The first thing we did was check out the 4D theater. The movies are all about 8 minutes long, and you can ask to have anything played at any time (from their movie selections). The experience was pretty neat, but I did make sure to warn my three year old ahead of time that the seats would be moving so she didn’t start freaking out. The kids (my husband included) really enjoyed the short little movies, and went back a couple times to check them out. After the theater, my son gravitated right over to the bumper cars. He was really excited that he was tall enough to drive these by himself! My daughter, unfortunately was not, so we just stood on the side and watched the boys have some fun. It did take a little while for my son to figure out the steering mechanism, but after he got it he went from spinning in circles to chasing down his dad! Next we all boarded the train…the train roller-coaster that is! The roller-coaster was a great time for the kids, but I think I am getting too old for these things. Any more twists and turns and I think I would have been too sore to enjoy the rest of our day…definitely for kids! My daughter really enjoyed the inflatables. She was having a blast in the pirate ship while the boys went on the Tornado! Here are the boys enjoying their ride on the Tornado (a little blurry but this thing was moving fast!). 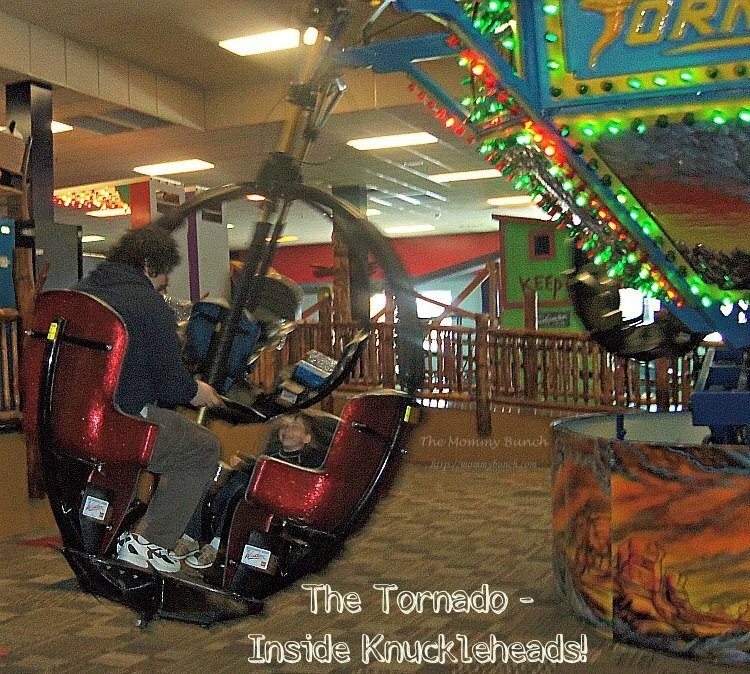 After the Tornado, we all took a spin in the go-karts, which both of my kids loved. Then my daughter checked out the bounce pillow while my son and I attempted the ropes course. 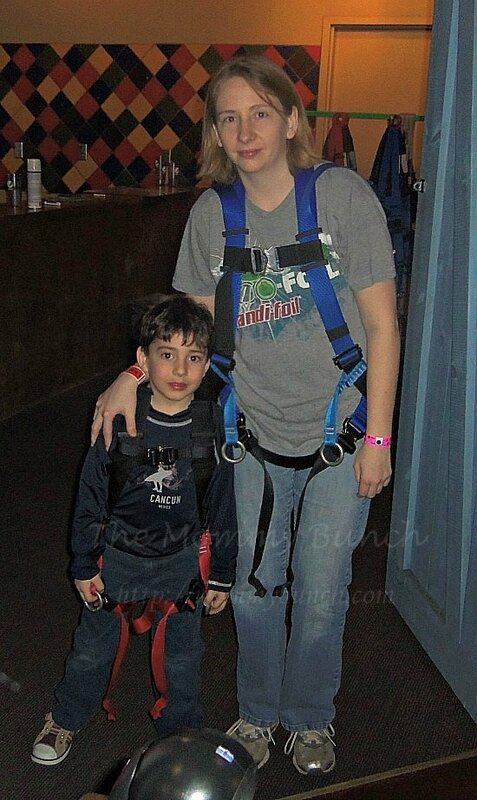 Once we got to the top, my son decided it was just a little too scary for him and he went right back down. I can’t say that I blame him. It sure is a lot scarier once you get up there. I only made it over a couple beams myself before I turned around and headed back down. After bowling, we did a few more rides on our way out. The kids had a blast, and it was a nice little break from all our swimming action over at Great Wolf. What The Mommy Bunch says about Knuckleheads…. If you are looking for a great place to have a birthday party, or just some place to bring the kids for some fun, Knuckleheads is a great choice! 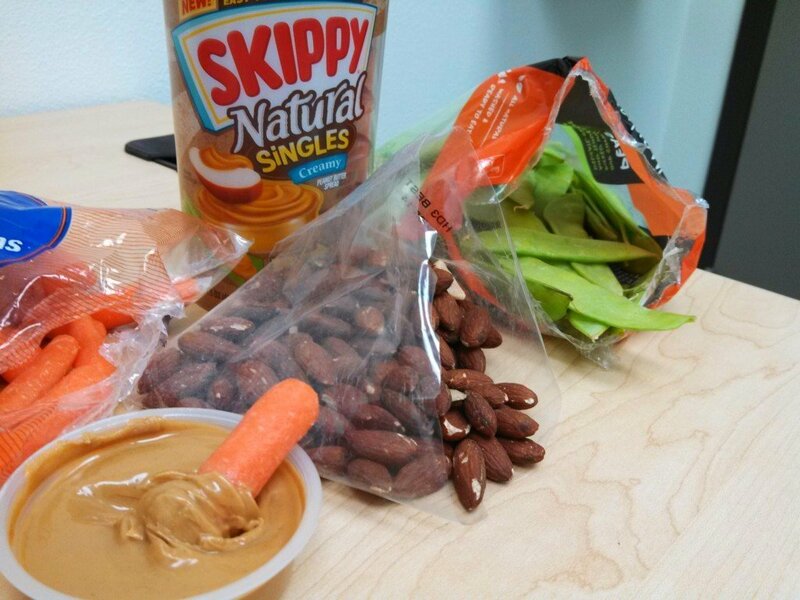 There are so many different options for kids, everyone is bound to have a good time. Although we didn’t hit up the arcade while we were there, there are game options galore that would keep even the older crowd satisfied. 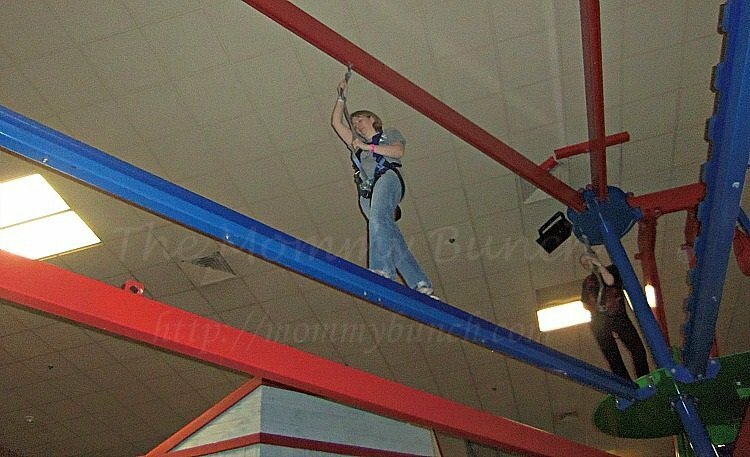 Little kids can enjoy the day too in Ballocity, a huge climbing and activity center for young kids. Plus, there is a comfy couch right outside the activity center so parents can sit back and relax. My kids had a great time, and we did too! Definitely a place worth checking out at least once. PreviousWhy mom deserves a break too!